Learn the basic skills of ice climbing with one of the certified guides of our team. Try the amazing icefalls of Kauhala or Nuuksio, in southern Finland! Learn the basic skills of ice climbing with an expert instructor. Discover some unique icefalls in Kauhala or Nuuksio. 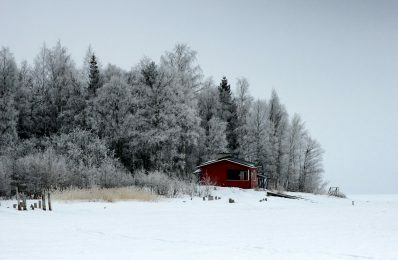 Enjoy the beautiful landscapes of southern Finland. 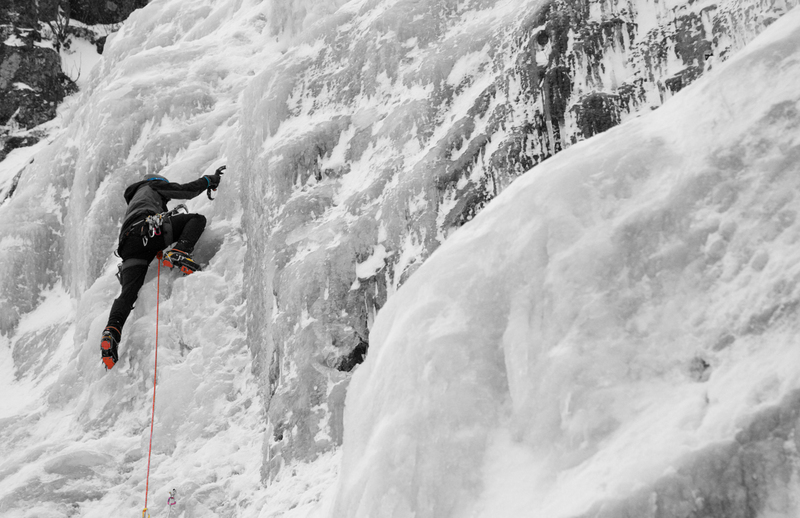 If you want to step into the fabulous world of ice climbing, then this trip is for you. Join one of our local certified guides for an introductory course at Kauhala or Nuuksio, in southern Finland! Nuuksio National Park, located 30km north-west from Helsinki, spreads over an area of forests and lakes in Espoo, Kirkkonummi and Vihti. Kauhala is a village in Kirkkonummi with lovely lakes, green forests and rugged crags. Both these locations turn into perfect ice climbing spots during the winter! 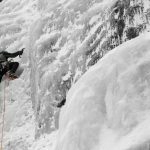 This day course for beginners will allow you to acquire basic ice climbing skills in an awesome place. We will work on belaying and climbing techniques, and on the usage of the necessary ice climbing equipment. So, if you want to learn how to climb on frozen waterfalls, please get in touch with us. Ice climbing is an awesome way to enjoy the beautiful nature of Finland! If you are planning to come to Finland in winter, you should also take a look at our Backcountry Skiing Week in Eastern Lapland.